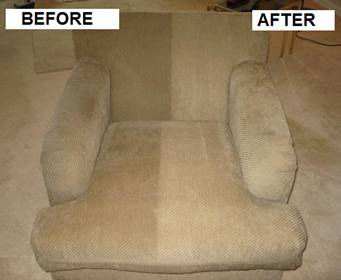 Upholstery is something that is often overlooked when considering to clean your home. Your carpet may cover more square footage -but we bet you’ll spend more time sitting in your favorite armchair than on the living room floor! Family Health: Fleas, mold and bacteria can make a comfortable home right under your feet without you even knowing it. Pathogens and dirt can build up to the point where they can cause health risks to your family. Bacteria can get deep into your furniture and cause unpleasant odors. Air Quality: Most people don’t realize that cleaning your upholstery can help the air quality in your home. A good cleaning can get rid of problems such as mold, dust, mildew, and allergens. Bad air quality in any home can cause breathing problems.